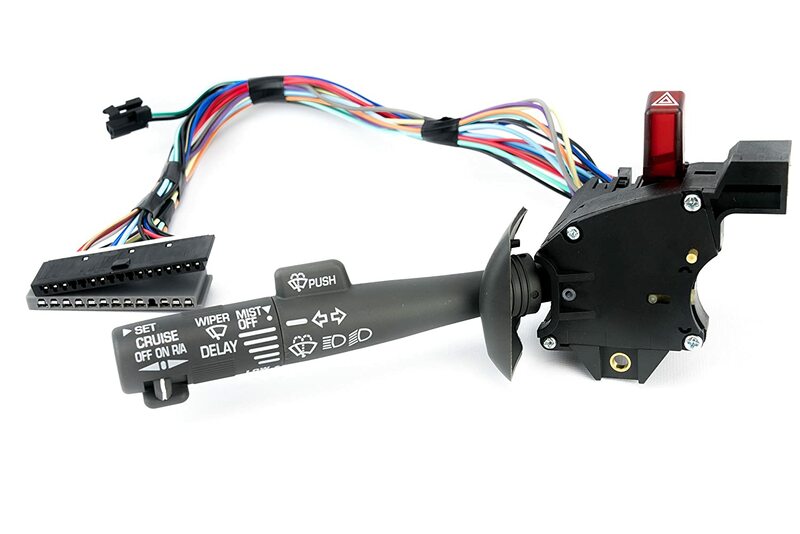 MULTIFUNCTION COMBINATION SWITCH – Controls various functions including the hazards, turn signals, blinker, wipers, windshield washer, high beam head lights and cruise control. The multi function switch mounts to the steering column and includes the necessary wire harness to plug into your vehicles module. OEM, FIT, QUALITY, FINISH – A direct replacement for your your factory multi-function combination switch. While this is NOT a genuine GM part, all markings and controls on the switch are identical to factory. Simply remove your factory combination switch and install this switch in its place. LIFETIME WARRANTY – This multi-function combination switch comes complete with a Lifetime Warranty. If the witch every fails on your Chevrolet, GMC, Cadillac, or Chevy simply contact us for a replacement.